Representations of gender in learning materials convey an implicit message to students about attitudes towards culturally appropriate gender roles for women and men. 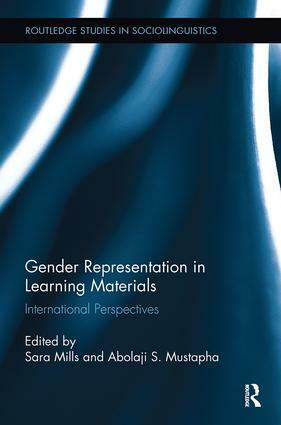 This collection takes a linguistic approach to exploring theories about gender representation within the sphere of education and textbooks, and their effects on readers and students within an international context. In the opening section, contributors discuss theories of representation and effect, challenging the conventional Althusserian model of interpellation, and acknowledging the challenges of applying Western feminist models within an international context. Following chapters provide detailed analyses focusing on a number of different countries: Australia, Japan, Brazil, Finland, Russia, Hong Kong, Nigeria, Germany, Qatar, Tanzania, and Poland. Through linguistic analysis of vocabulary associated with women and men, content analysis of what women and men say in textbooks, and discourse analysis of the types of linguistic moves associated with women and men, contributors evaluate the extent to which gendered representations in textbooks perpetuate stereotypical gender roles, what the impact may be on learners, and the ways that both teachers and learners interact and engage with these texts. Constructing Gender and Sexuality in the EFL Classroom in Poland: Textbook Construction and Classroom Negotiation?